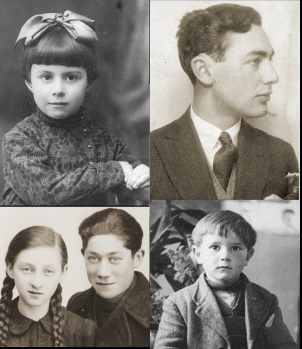 Alfred Munzer discusses the difficult decisions his parents, Dutch Jews, had to make after learning in early 1941 that they were expecting a child. Germany had invaded the Netherlands in May 1940 and conditions were growing increasingly difficult for Jews by the time Al was born. She had this idea, this superstition, that if she ever lost those photographs it would mean that I had died. So those photographs did surv…I survived, and those photographs survived. 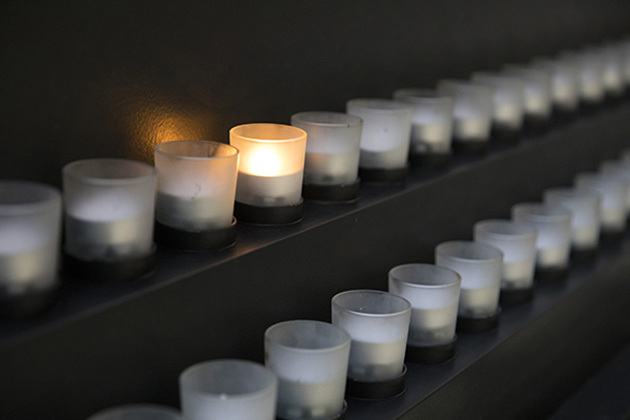 This podcast series presents excerpts of interviews with Holocaust survivors from the United States Holocaust Memorial Museum’s public program First Person: Conversations with Holocaust Survivors. In today’s episode, Al Münzer talks with host Bill Benson about the difficult decisions his family had to make shortly after his birth in November of 1941 in the Netherlands. Germany invaded the Netherlands in May of 1940 and conditions were growing increasingly difficult for Dutch Jews by the time Al was born. Several months later, November 23, 1941, almost 19 months after the Nazis occupied Holland, you were born. Your parents’ joy in your birth, in the midst of such circumstances, must have been accompanied by fears on their part. Is that something you can say something about? Sure. My mother talked about that quite a bit, you know. First of all you know, when she found out that she was pregnant she was advised very strongly by her obstetrician to have an abortion. Her obstetrician told her that it would be immoral to bring another Jewish life into the world. My mother at that point turned to the Bible and the story of Hannah, a woman who was desperate to have a child and went to the temple every year praying that she might conceive and it was in reading that story that my mother decided that she could not possibly have an abortion, and so she went through with the pregnancy. But then, you know, when I was born it was another dilemma. One of the things that’s part of the Jewish tradition is circumcision. The Bris or Brit Milah and again, you know, my father especially, you know was really not certain. Many friends advised him against having the circumcision ceremony because that would really label me as being Jewish and circumcision was fairly rare at that time throughout Europe in other groups. But then the doctor turned to him shortly after birth and said, “Everything is fine with your son but he’ll need a small operation.” That small operation turned out to be a circumcision. So, according, just very much in keeping with Jewish tradition, we had a circumcision ceremony 8 days later in The Hague. One of the amazing things if you don’t mind my digressing a little bit, there were some photographs taken of that ceremony and two tiny photographs of that ceremony survived and my mother finally, when she ended up in the concentration camps, managed to keep those two little photographs with her throughout her stay in the camps. She told me she kept them hidden in her hair. I am not quite sure of that, may have been another part of her body, but she managed to keep those pictures with her. She had this idea, this superstition, that if she ever lost those photographs it would mean that I had died. So those photographs did surv…I survived, and those photographs survived and they are now part of the collection of the Museum.